Cloth diapers are cute, reusable and can really help you save money. 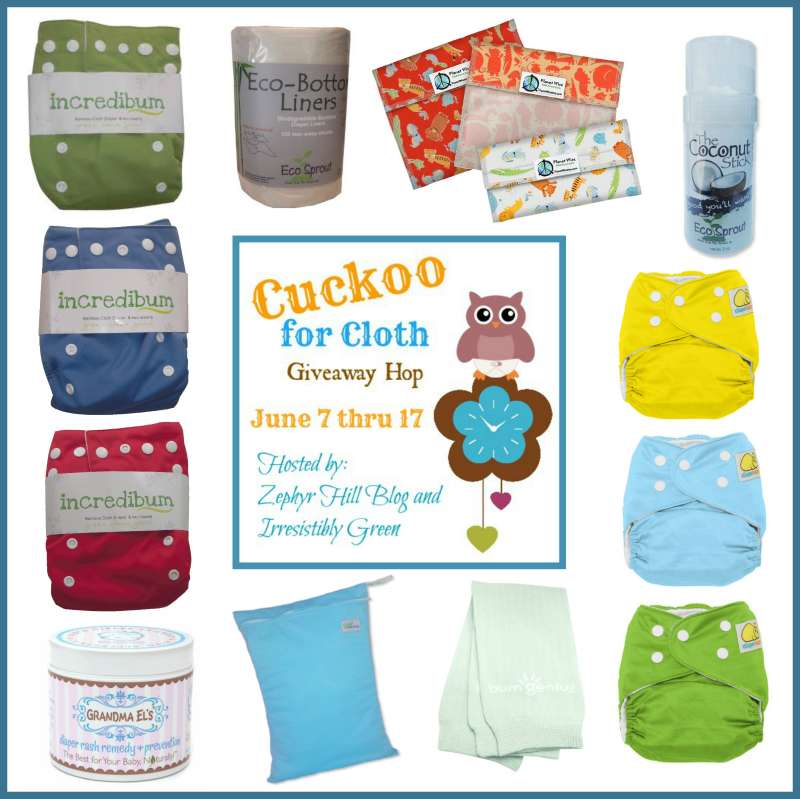 The Cuckoo for Cloth giveaway hop was started so you can enter to win some great cloth diaper prizes AND learn about some of the brands that your friends in the cloth diapering world are crazy about. 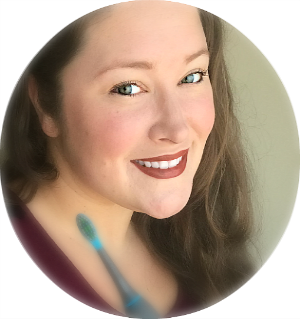 Your hosts, the Zephyr Hill Blog and Irresistibly Green, and all the participating bloggers and retailers, wish you the best of luck with all the giveaways and a successful cloth diapering experience! 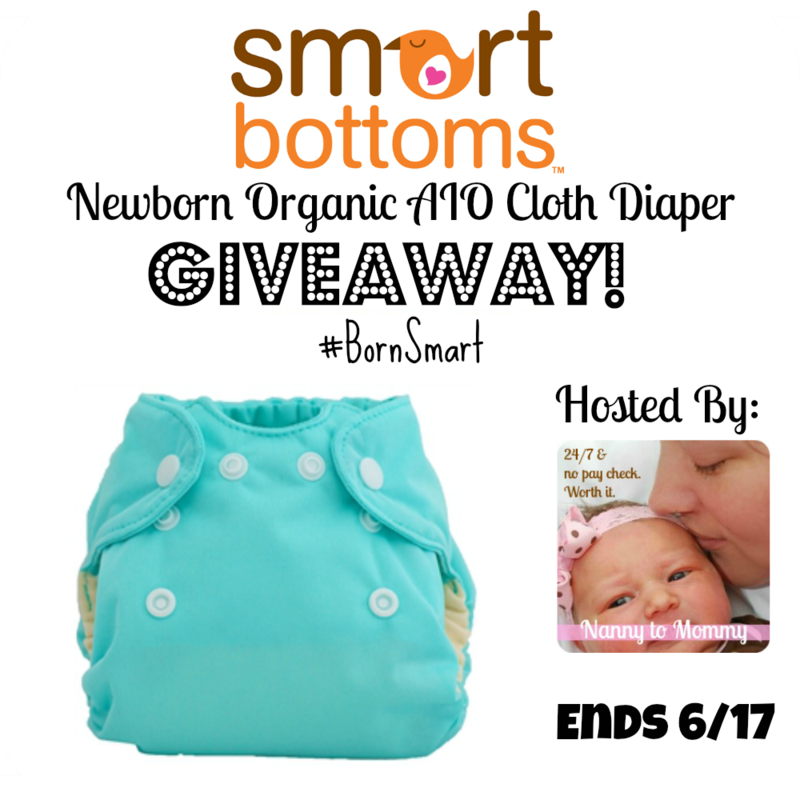 I'm giving away a Smart Bottoms Newborn Organic Cloth Diaper! You can read my review HERE. Besides all the giveaways listed below, be sure to enter to win the Grand Prize which is valued at over $175. It includes 3 Incredibum Bamboo AI2 diapers, 3 Diaper Safari pocket diapers, Grandma El's rash cream, a Wolbybug wet bag, a set of 3 Planet Wise snack bags, EcoSprout diaper liners, an EcoSprout Coconut Stick, and a pair of (gender-neutral) bumGenius BabyLegs! i LOVE the ella print!! I like the color duckling! I love the duckling yellow too. My second favorite is the flamingo pink. I would pick the bluebird although the duckling is more gender neutral. The duckling would be good for either a boy or girl!!! I like the Duckling (green) color. Super cute! I like the green and blue plaid print the best. Bluebird! I love just about any shade or variation of blue! I love bluebird! Such a cute name, too. The bluebird color is my favorite! I love the Emerson print. I like the Smart Bottoms Diaper in Emerson! My favorite is the duckling. Perfect for a boy or girl since we don't know what we are having yet. 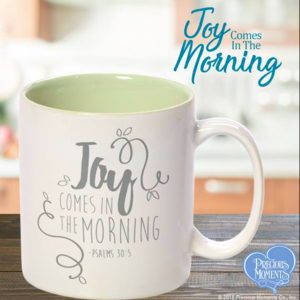 The Emerson print is super cute! My favorite is the bluebird. I like the Ella diaper the most. I would love to win it for my expectant daughter. I would choose the Flamingo color! ella for our coming #3 girl! The Bluebird is my favorite one. The Emerson is so cute! I love the Emerson print! I would love the duckling color. My favorite color is the bluebird! I would have to say Bluebird is my favorite. It would look cute on my little girls bum! I like the Bluebird diaper color best. Bluebird is a pretty color! I really love the Emmerson diaper. So pretty! I love the Emerson print!! I like the bluebird color. I would like to have the flamingo! So cute!! I love the color Bluebird! So bright and happy. I have to say Duckling as its most gender neutral. Not sure if baby is boy or girl yet. I love Smart bottoms. I love the Flamingo color! 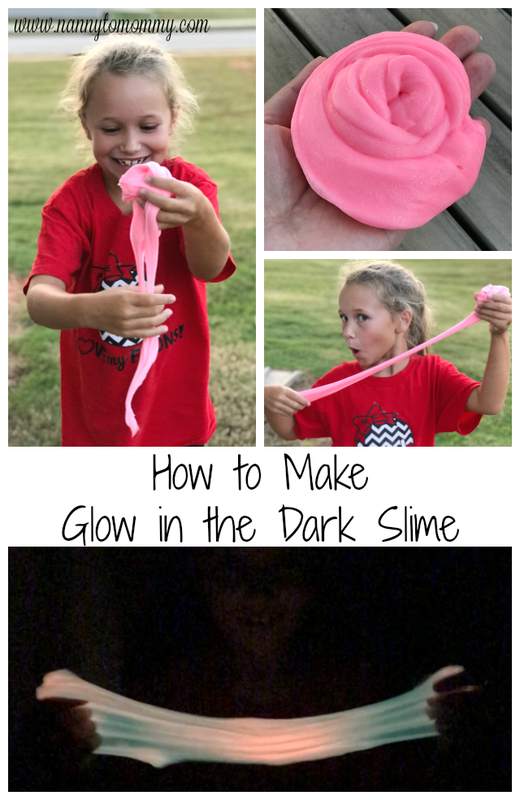 I would really like to try these in a few weeks! Bluebird is most definitely my favorite! Perfect for a boy or girl! The Ella is adorable! Thanks! I'm partial to Duckling. Thanks! Bluebird is my favorite. I'm a little surprised they only had a few colors, liek four?